Dr. Jordan Mackner received his Bachelor of Arts from Concordia College in Moorhead, Minnesota. While growing up in the Midwest Dr. Mackner enjoyed playing many sports including hockey in which he competed in through his college years at Concordia. After graduation Dr. Mackner attended Chiropractic school in St. Louis, MO at Logan College of Chiropractic and focused his education on sports performance and rehabilitation. While attending LCC Dr. Mackner was a Motion Palpation Institute representative at the school and taught the world renowned adjusting technique to other students. He was also employed by the college as a tutor and anatomy lab TA and spent hours teaching the subjects of Anatomy, Neuroanatomy, Physiology, and Biochemistry to first year students while also aiding in dissections in the cadaver labs. To better prepare himself for treating patients and athletes Dr. Mackner has attended extra hours of training in rehabilitation and adjustive techniques. 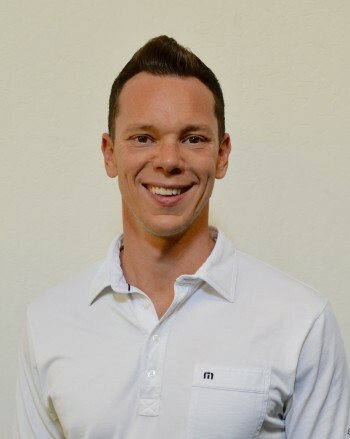 His extra training includes treatment of musculoskeletal pathologies and adjustments of the cervical, thoracic, and lumbar spine, as well as, functional assessment classes of the lower and upper quarter. Dr. Mackner's rehabilitation continuing education hours include classes in McKenzie Method, DNS, Graston Technique, Kinesiotaping procedures, and a Certified Golf Fitness Instructor from the Titleist Performance Institute.